Here's mine, with a bit of changes to the original project (hope you don't mind David!). Made of what I had - leftovers and what I could easily get. different nose sewing (same shape but different method - thanks again photogbill ). Thanks David for the plans! Did you use a pultruded frame? I see some Decathlon parts used in there. Was a our local Decathlon store yesterday, but they don't have them anymore. Some connectors are very usable! I used a "what-I-had" frame, as listed above. LE and US are pultruder 6mm cft. US is Matrix, LE - yes Decathlon. Same for connectors, apart from sail grabbers and center cross (Level One: kenny-kreuz). About decathlon, we still have spars and connectors available. Also from an online store. 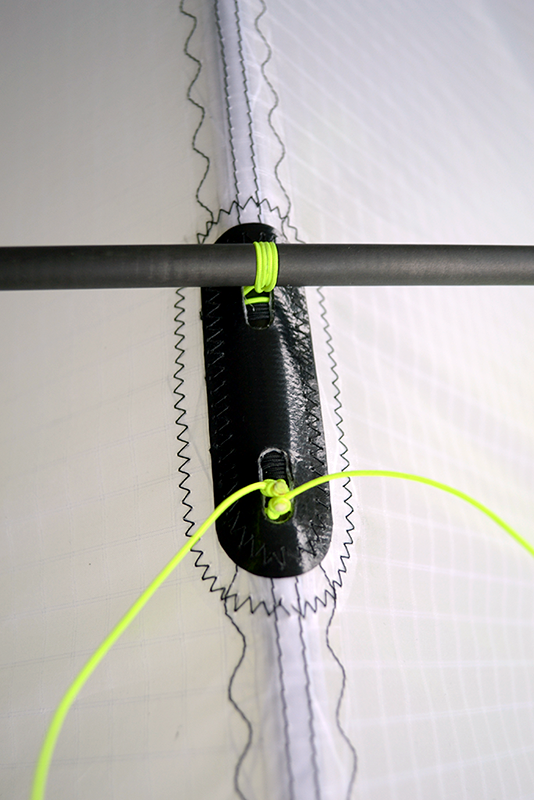 Test sail made form Ripstop nylon (about 32g/m2). David agreed to have the Magnet plans hosted on my webpage in english. 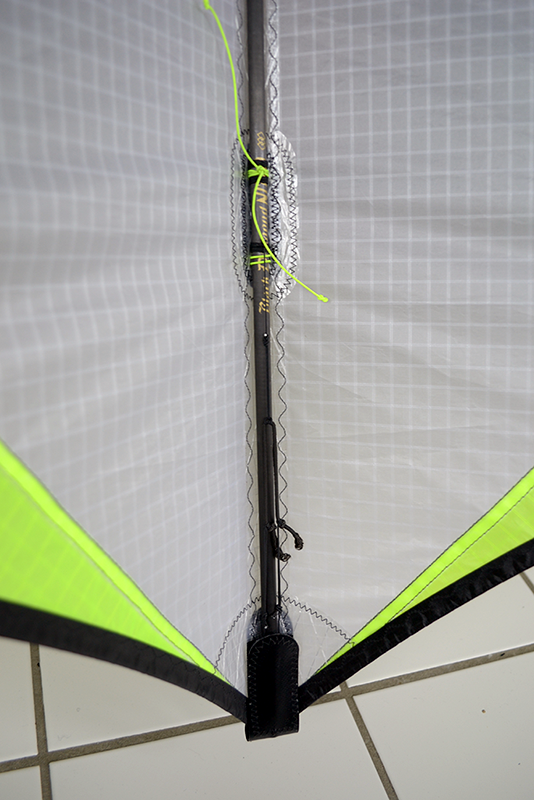 This might provide more detailed and centralized information about this great kite. I've also added a builds page with all the Magnets that haven been build untill now. If you have a picture of a Magnet that isn't on the page yet or in the case you don't want our picture shown on the site, just let us know and we'll add or delete the pic. The link to the german plans is still there as well. Sounds good! Very interested to see a video on what it can do, and thanks for sharing. The reinforced glassfiber rod inner stand-off truly work? I tried with some kites, but it's never helped in gusty winds. I just finished my fifth build, a Magnet XL. I gathered quite a lot of my kitebuilding knowledge from this board, so I wanted to share my result with you guys. I wasn't able to test it, as the weather here in northern Germany is quite bad at the moment. I'm also quite new to stunt kites so my word wouldn't be too helpful anyway. For the sail design I used the "Magnet-Facelift" design created by my dad. Some of you might know him by the name "Ulzburger" he's mainly active on the german board Drachenforum.net. You can find his Magnets on Kareloh's site with the Magnet builds. Great choice of colours. I really like the standard Magnet and I could be sorely tempted by the XL. Your Dad has built some really sharp looking Magnets. That's fantastic looking - sweet design. 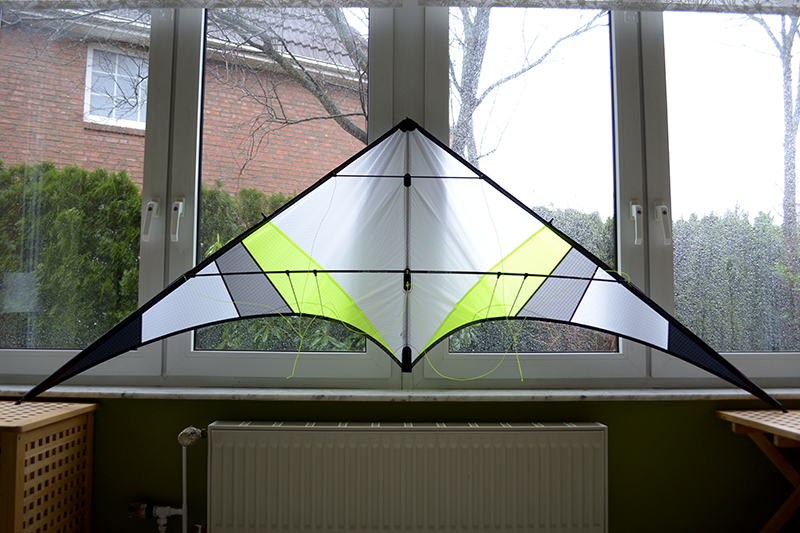 The centre T treatment looks a bit like that on Alphakites TNT (IIRC). 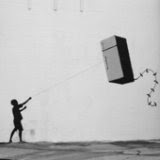 I wanted to like the Magnet - but I found it a querulous little kite and didn't enjoy it at all. Of course it might just require better technique than I'm armed with (pun intended). A big, slower, less idiosyncratic version *might* be just the ticket. 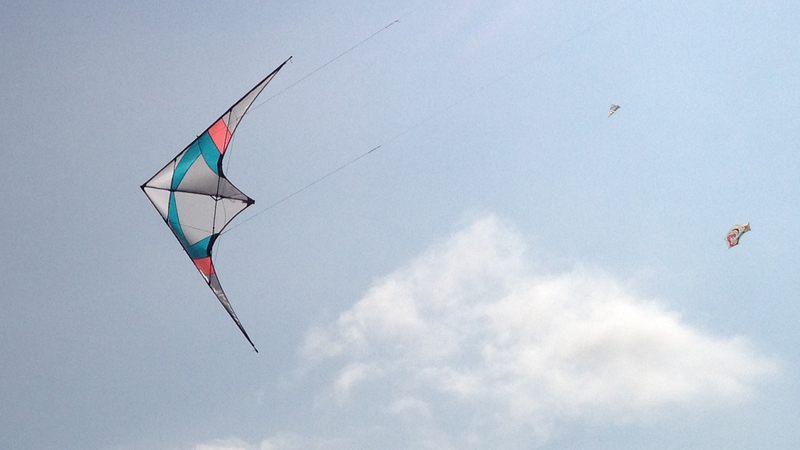 Great looking kite... and the workmanship looks very tidy. I really like the Magnet good fun kite and yes a little quirky. The centre t arrangement looks tidy. Peter Maternus also uses this method.